This is my kind of bird. Not an early bird at all. Doesn't get up as early as our noisy robins. Hangs in Kansas into early May--not in a hurry. The Harris's Sparrow migrates waaaaaaay up into the Canadian Northwest Territories, into the sub-artic boreal forest, to begin nesting. I wouldn't be in a hurry to go up there either until nearly summer! 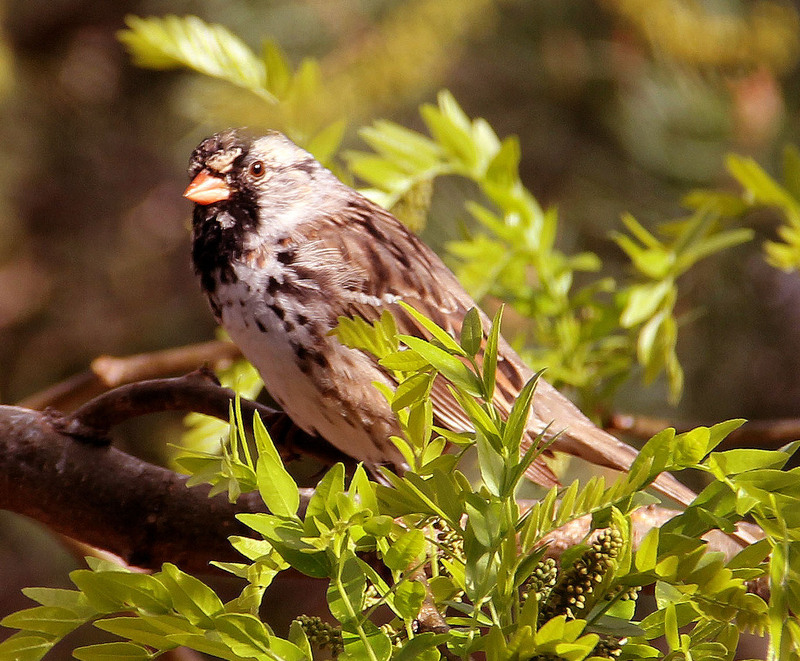 The Harris's Sparrow was named by John James Audubon in honor of his 1834 traveling companion, Edward Harris. These birds, along with their wintering companion, the White-crowned Sparrow, grace our yard all winter with their soul-comforting whistling. Kansas is in the heart of their winter range--a somewhat limited range. Folks on each coast flock to Kansas to help "tic" this beautiful sparrow off their life list. The Harris's Sparrow, just one more natural aspect of our prairie state that makes it so special. This male greeted our Easter morning along with a horde of his hungry companions.